Today, I'm here with your November 2015 West Michigan real estate market update! We'll discuss how this market compares to the 2014 November market by looking at the current data from Realtor.com. First off, mortgage interest rates remain historically low. A 30-year fixed-rate mortgage has a 3.76% interest rate. If you are a buyer who's been on the fence, you need to take advantage of these low rates now. Current listings are just over 4,000, which is down by 15% year over year. Additionally, we have seen a 3% decrease in inventory over the last couple of months, which is to be expected this time of year. The median listing price is $188,000, a 19% increase year over year. Over the last 30 days, the median listing price has remained pretty steady. Again, that is very common this time of year. We will see a healthy reset as we head into the spring market, probably around late February or early March. Finally, the average number of days on market is 60 days, which is a 13% decrease from last year. Homes are selling much faster because the market has improved since 2014. Now, over the last month the average number of days on market has gone up by 10%. Again, that is common for this time of year. As for what to expect in 2016, market value should go up between 5% and 10%. No one knows when, but interest rates will increase next year. These historically low rates are great for buyers now, but in the long run, they just aren't healthy for the economy. You can expect rates to go up by 0.5% or 1%, which will still be incredibly low considering the past average. It's important to know that there will be a reset in 2016. If you can buy a home today, this may be the time to do it. Capitalize on the low interest rates and the home prices before they go up next year. If you have any questions, give me a call or send me an email. I look forward to hearing from you! The summer market has been awesome so far in West Michigan. Inventory is low, and interest rates are stellar. However, today we are going to be talking about some potential deal breakers that may occur in our market, and how you can fix them. The new market has brought some potential challenges to us, but we want to share with you the problems we’ve been seeing, so you know what to do if faced with any of these potential issues. The market has improved, and we want nothing more for our sellers than to have them experience the benefits of an improving market condition. When you go under contract and have your home sold, everyone is clearly happy. However, when the bank comes in to do the appraisal, and it comes back lower than the purchase price, it’s always disappointing. When this happens, you will have to renegotiate the price, or the deal will fall apart. We recommend that sellers make sure their agent is doing a thorough, detailed market analysis of their home to avoid any potential appraisal issues. Nothing is more frustrating than when a buyer who has a pre-approval letter goes out and makes large, expensive purchases before the deal closes. If you are a buyer, don’t make any big purchases until your loan clears. It will affect your debt-to-income ratio and could delay the closing of your loan for quite some time. These tend to happen during the due diligence period. When home inspections are done, the inspector does their best to do a thorough job and go through every nook and cranny in the house looking for any defects. Sometimes, they aren’t able to uncover things because you haven’t done the due diligence as a seller to fully inspect the entire home. Bad home inspections can kill a transaction, and create a lot of unexpected expenses. Lending is taking longer nowadays, and loans are getting extended. If the seller is not prepared to have a conversation with the bank, that’s frustrating. You have got to have good communication between your bank, your agent, and your lenders. If there’s an indicator it’s not going to close, the seller should be in a position to back out of that contract. Understand that when you decide to enter the market. When it comes down to the negotiation table, look at the big picture. A few thousand dollars is not a good enough reason to abandon the transaction. Try to find some common ground and consider what your alternatives are. If you went back on the market, are you going to end up regretting it? These are just a few of the ways that a transaction can fall apart, but hopefully if you find yourself in any of these situations, you’ll know what to do. If you have any questions for us, feel free to give us a call or send us an email. We look forward to speaking with you soon! The summer market is crazy busy. Today, I'll discuss some key strategies for a buyer to navigate a multiple offer situation. The underlying concern for the buyer is overpaying. There are ways to avoid overpaying, and still get the home you desire. We always, always recommend that the first thing you do is get a pre-approval from a lender. You could be up against one other offer or ten other offers. A seller won't consider your offer without a pre-approval. A pre-approval is much stronger than a pre-qualification, because a pre-approval letter means that the lender has verified your credit score and your income. Pre-qualifications can turn into a disaster when the lender does their homework two weeks later and discovers that the buyer wasn't telling the truth about their income. My second strategy is use a reputable lender. Find out if they have a positive reputation in the real estate industry. Agents advise sellers on which lenders are best, so your choice of lender could have an impact on the seller's agent, who would influence the seller's decision on your offer. Next, it's important to know the score. Learn about other offers. Find out how many offers you're competing against. Going up against one other buyer is different than going up against ten. Know the story of the home as well; a home that's been vacant and on the market for 180 days with one competing offer is much different from a home that has been on the market for one day with three competing offers. If you know the story, you can put your offer in a strong position. It's important to understand that multiple offers usually result in the sales price being higher than the list price. If you really want the home, it's okay to go over list price. Have your agent do a market analysis first to make sure you're not overpaying. Also, understand that the appraisal process protects you from overpaying for the home. The lender doing your mortgage will order an appraisal, and that appraisal will determine the true value. If you paid more than the true value in the purchase contract, typically the seller will do their best to match the appraised value. Lastly, ask yourself this question: would I make an offer on this home if it was $5,000 more than it is today? If the answer is yes, then you know that the list price is arbitrary. A list price does not necessarily match the true value of the home. Buyers often overthink the list price. If you can afford $20 more in monthly payments, then you can afford to go $5,000 over the list price. It's hard to make a mistake as the market continues to improve. This is an exciting market, and homes are selling fast. 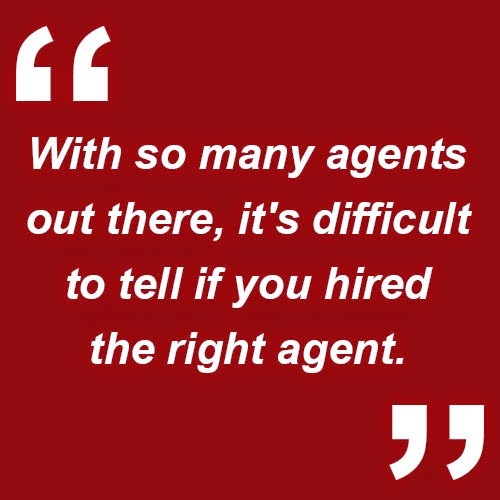 Make sure you hire an agent who does their due diligence and gives you quality advice. If you have any questions about today's topic, or about real estate in general, give me a call or send me an email. I'd love to help you! Where Are All the Listings? Recently, a client came to me asking about current market conditions in the Grand Rapids area, so today I thought I would give you a quick rundown of trends we've seen in recent months. The real estate market is in full swing right now; it's the time of year when most people who have been thinking about making a move actually jump into the market. However, unlike most years, we currently have low levels of inventory. In 2008, for instance, inventory was at 13.3 months. Since that time we've seen a steady decline to reach our current levels, which sit at about 2.5 months. Why is this? There are still sellers with low equity: Believe it or not, there are still some sellers out there who are not quite where they need to be with equity. I recently saw a stat that said around 19% of sellers are still in the low equity or no equity status. Many potential sellers refinanced after the bust: Because many people refinanced after the market crash, they now plan to stay put for a bit longer. About 16% of all potential sellers are those who refinanced with very low interest rates. A lot of people purchased within the last 7 years: About 14% of potential sellers purchased a home within 7 years, so we probably won't see them putting their homes on the market anytime soon. These three groups add up to about half of all potential sellers, and none of them will sell in the next year. Additionally, there are some potential sellers who don't understand how much their homes are currently worth! Some sellers have watched the market decline for years, but haven't yet realized that we have made a substantial recovery. There's also another group of sellers who were shocked by the crash and simply don't want to take the risk of another decline in home values. In a sense, the past trauma of lost equity is stronger than their desire to own a home again. The thing everyone needs to realize is that now is an ideal time to sell. There are hungry buyers out there desperate for a new home. With inventory as low as it is, it is likely that you'll receive multiple offers and sell for top dollar! There's no reason to sit this one out! If you have any questions about current market conditions, or if you need real estate assistance of any kind, don't hesitate to reach out to us! We would love to hear from you! How Can You Make a Smooth Transition in Grand Rapids? Hello, and welcome to another episode of KevinYoder.TV! Today, we want to address a dilemma many homeowners find themselves in: not knowing what to do when you can't sell your current home until you find a new one. Inventory is quite low right now in Grand Rapids. Since our market began to recover a few years ago, most homeowners have recovered enough of the equity they lost in the crash and are ready to make their move. The problem is that there are not enough homes on the market! Inventory usually picks up in early summer, but at this time there just isn't much to choose from. The key question you need to ask: Do you absolutely need to sell in order to buy? Are you a cash buyer or someone who needs to sell their home first in order to get a mortgage? Most homeowners need to sell first, but don't have the right strategy; they want to find their dream home and submit an offer that is contingent on getting their current home sold. 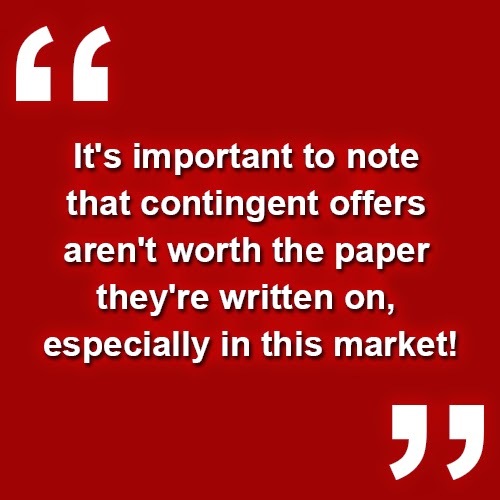 It's important to note that contingent offers aren't worth the paper they're written on, especially in this market! The home that you write a contingent offer on is still available on the market. So, while you think you've found the right home, there is a chance other buyers will come along and make a better offer, and you could lose the home as a result. Your best course of action is to get your home on the market! Getting your current home under contract will give you leverage once you find a new one - you'll be able to place a confident, competitive offer on your next home! It sounds difficult, but in a market like this you need to be bold! If you have any questions about making a smooth transition in our marketplace, or if you need real estate assistance of any kind, give us a call or shoot us an email at any time. We would love to help you make the most of this market! How Will the West Michigan Real Estate Market Shape up in 2015? Hey everyone, today we have another market update for you that includes the latest real estate statistics from Grand Rapids. Spring is just around the corner, but the spring real estate market has already begun in earnest. We have more homes under contract right now than we have ever had at this point in the market. Whenever we are measuring the state of a real estate market, the first thing we look at is inventory. Right now, our inventory is sitting right around 7 months, which is much more balanced than the 8.5 months we saw at this point last year. As we head into the summer, the absorption rate will lower, and so will inventory. This is a sign of homes selling faster and the fact that there are more buyers out there looking for homes. Next, let's take a look at the average sale price of homes in Grand Rapids. At the end of February 2015, the figure was $139,000, up 4% from last year. The average sale price of homes right now is lower than it will be in a few months, when the market really starts to heat up for sellers. Another important statistic is days on market, or how long a home sits on the market before it sells. Last year at this time, our market average was 102 days. Right now, the number of days is even lower, at 86 days, and our team's numbers are even lower. I hope you've enjoyed this market update, and that it gives you a good glimpse of what's going on in our market. If you'd like to dig deeper into these numbers or want to know what your home could possibly sell for, give us a call or send us an email, we'd be glad to help out. How Can You Sell Your Grand Rapids Home Faster and for More Money? As promised, we're coming back with the last two ways you can sell your home fast and for the most money possible. We've all heard the phrase, "a picture is worth a thousand words." It's true. In fact, a well done photograph in real estate is worth a million words. Don't let an agent come out and take pictures of your home with a smartphone (yes, that actually happens). Make sure your agent has a photographer or hire a professional photographer yourself. You need to make sure your home looks like it's straight out of a magazine. Since the first showing is on the internet, you simply cannot underestimate the value of photographs when selling your home! Another thing that will help you sell your home fast and for more money is to think about ease of access. Homes are easier to sell when they are vacant or when the homeowner isn't present. We prefer the home to be vacant because it allows us to show the home as much as we need to and it increases the opportunities to get the home sold for more money. Our advice is to be as flexible as you possibly can with showings, as ease of access is a HUGE factor when selling! Location played a huge role, as the home was located in Ada, where there was a high concentration of buyers and a great school district. Pricing: We performed a detailed market analysis, which revealed a list price that would maximize opportunities for our seller. We priced it for $219,750, and it sold for just that! Staging: Our seller took our advice and let our expert stagers come in and work their magic. In only a few weeks, they had the home looking like new. Photography: Our professional photographers really captured the essence of this home. They used wide-angle lenses to make the home look outstanding. Ease of access: The sellers left for vacation for the first week the home was on the market, giving us an entire week to get as many showings as possible at one time. 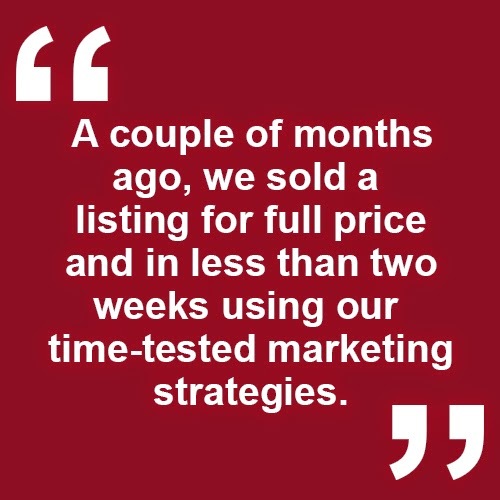 It led to multiple offers, which in turn led to us selling the home for full price. Now, that's how you get a home sold! If you have questions about our process, or would like real estate assistance of any kind, don't hesitate to give us a call or shoot us an email. We would love to give you a hand! Today I want to speak with you about selling your home for the most money and in the least amount of time. There are three key factors involved in accomplishing this goal, and we're going to discuss them below. Location: This will ultimately determine how many buyers look at your home. This also determines what school district you belong in, and that's an important part of determining the future value of your home. Price: When you overprice your home, you risk losing buyers immediately. If they see your home is overpriced, they'll never take another look at it. 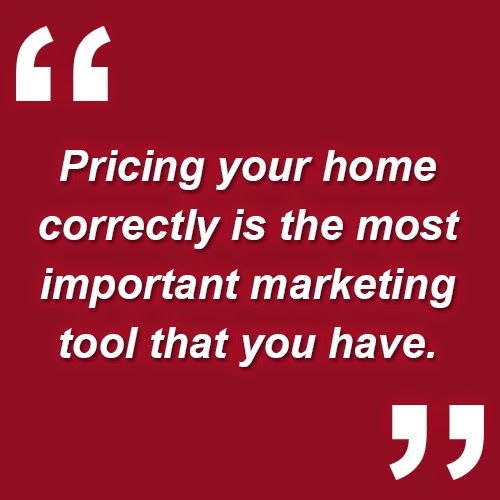 Pricing your home correctly is the most important marketing tool that you have. If you do your research and price your home right, you'll be able to get multiple offers and that will generate top dollar for your home. Staging: This is an extremely important way to get a good first impression out of a buyer. Besides the price of your home, this is the number one way to appeal to customers. Make sure your home is sparkling clean, very well lit, and ensure that it is not cluttered and allows easy traffic flow for showings. You don't want the buyers to think that anyone lives in your property. Homes that are clean and neutralized often sell the best. The spring selling season is coming up, so we hope you've found some value in these tips. If you'd like more information on what you can do to net more money for your Grand Rapids home, then please contact my team. We're always willing to help you!